The big day has finally arrived for the NASA TESS mission, with the launch scheduled for this evening from Cape Canaveral. The 30-second launch window opens at 6:32 p.m. EDT, and if all goes well, TESS will be deployed into a highly elliptical orbit approximately 48 minutes after launch. The TESS spacecraft will be carried into orbit by one of the new generation of SpaceX Falcon boosters. 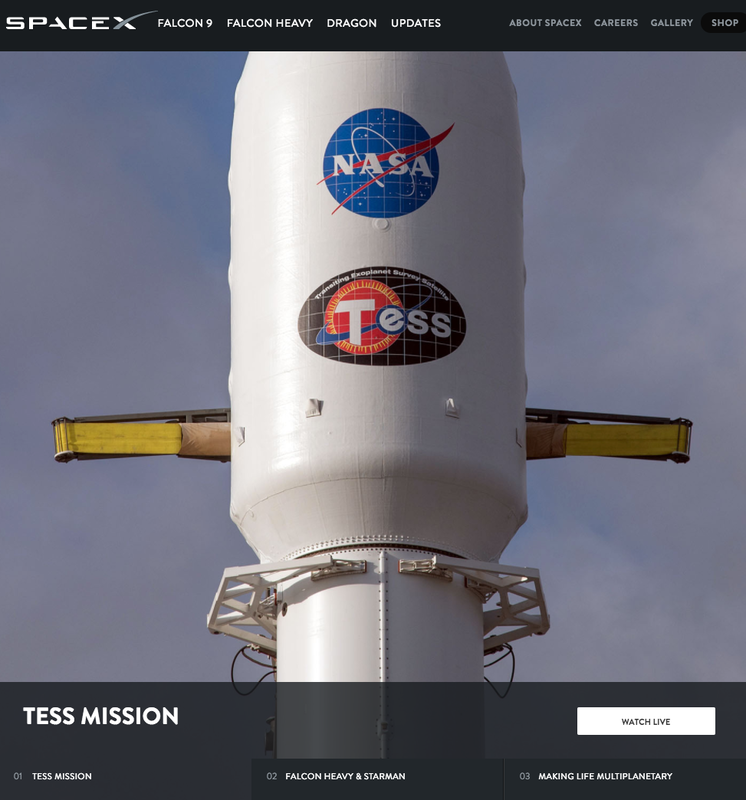 Amber Biology is very proud to be a contractor on the TESS mission. We were involved in the development of some of the algorithms and code for mapping the target stars to the imaging system on the spacecraft, and for some parts of the data analysis pipeline that astrophysicists will use to process the target star time-series images being sent back to earth by the spacecraft, to see if they bear the telltale signatures of orbiting exoplanets. As part of the mission team, Gordon & Alex also got to append their signatures to the 500 or so that are engraved on a plaque that is attached to the spacecraft. This is a very proud day for us and we feel incredibly fortunate to have been given the opportunity to play a very small part in this incredible venture. When it comes to spaceflight, there are few certainties and everything needs to work just right the first time - so like the rest of the TESS team, we will have our fingers tightly crossed this evening as we watch the launch live on the SpaceX website.